Happy Thursday! This is an outfit I have been wearing quite a bit on cooler LA days. It has become a bit of a uniform, although some days I swap the chambray shirt and heels for a t-shirt and slip-on flats. We shot these a couple of weeks ago in Venice. 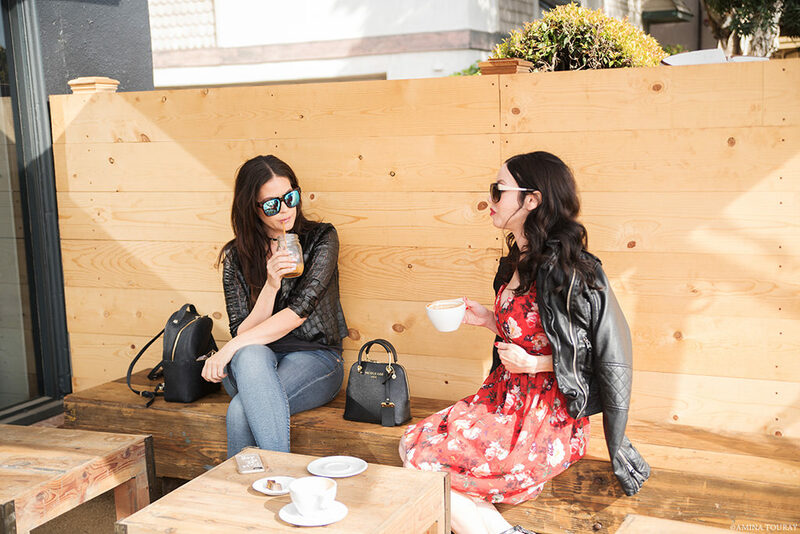 I was craving a cappuccino with almond milk and Mo introduced me to the Tom’s Flagship store on Abbot Kinney which has a coffee bar inside with an adorable patio… and great coffee I must say, which I am sure is why it was quite busy! Tom’s also has a really great philanthropic program where they help someone in need with every purchase… you can read more about this awesome company here. Raga faux fur jacket via Revolve Clothing (on sale). AG by Adriano Goldschmeid jeans. Ambercrombie & Fitch shirt. Alice & Olivia bag (newer version here and similar on sale here). Juicy Couture pumps (similar here and here). 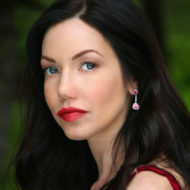 Fine Line Jewelry by Melinda Hawken earrings. Gucci glasses.